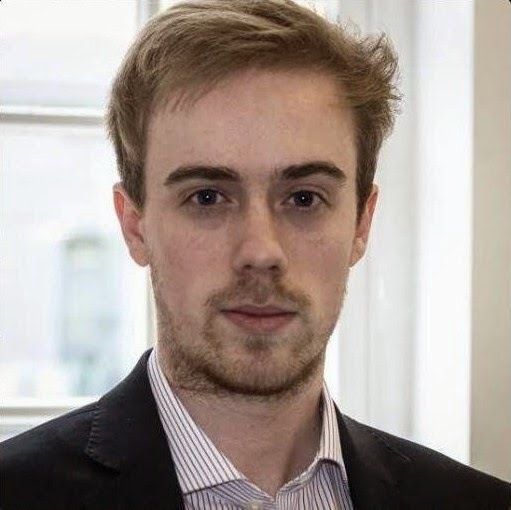 Unbelievably, the ruckus from last Wednesday’s Hacked Off lobby event at the House of Commons still rumbles on, as Alex “Billy Liar” Wickham, newly anointed teaboy to the perpetually thirsty Paul Staines at the Guido Fawkes blog, refuses to take on board that not all of his “journalism” was totally honest and above board. To this point he has ended up blocking someone who refuses to believe him. This is what might qualify as a high risk strategy: were Wickham to block everyone who does not consider him a paragon of honesty, there might not be too many left. He has, after all, been caught saying several things about the event that were exaggerated, or worse. You only have to look at the Tweets captured in the Zelo Street take from the following day, or that from Tim Ireland at Bloggerheads, to see this. Just look at the Tweet that Wickham has pinned at the top of his feed: “Evan Harris and John Cleese are now shouting at me”. Ever heard Evan shout at anyone? Cleese was nursing a bad throat infection, and couldn’t as much as raise his voice - something the audio demonstrates. But Wickham is clearly tested by Peter Jukes’ refusal to believe him, asking “How can a video lie?” which is not the issue here. He does try and deflect Jukes’ sceptical approach, but he also tried to push the idea that the Hacked Off event was about “millionaires and celebs” when it wasn’t, he asserted that Hugh Grant was “alongside” Brian Cathcart and Cleese when he wasn’t, he said Mail editor Paul Dacre had been called a “squeaky little man”, and he hadn’t, and attributed the quote “monstrous, sociopathic” to Cleese, but he didn’t use those words together. While he kept on trying to combat Jukes’ refusal to treat him as a truthful source, Wickham didn’t deny that he said someone from the audience had “screamed” at him, when they hadn’t, he claimed “the room” had asked him to stand up, which was baloney, as it didn’t, and afterwards claimed to have been subjected to a “show trial”, whereas all that happened was that he got found out. He moans “wire copy & video back me up entirely. Fine for you to not like me or disagree with me. But you are lying about my reporting”, but fails to tell that the full context, demonstrated by the audio recorded by Tim Ireland, is not given (Wickham was not “told” to stand up, for instance). He also failed to tell that nobody there had any problem with him sitting there and Tweeting whatever he wanted to. So there was, despite the Fawkes blog asserting otherwise, no circumscribing of his right to speak freely. Then, by snapping “Peter, for three days and nights straight you have tweeted at me, accusing me of things I haven't done. It's not on. 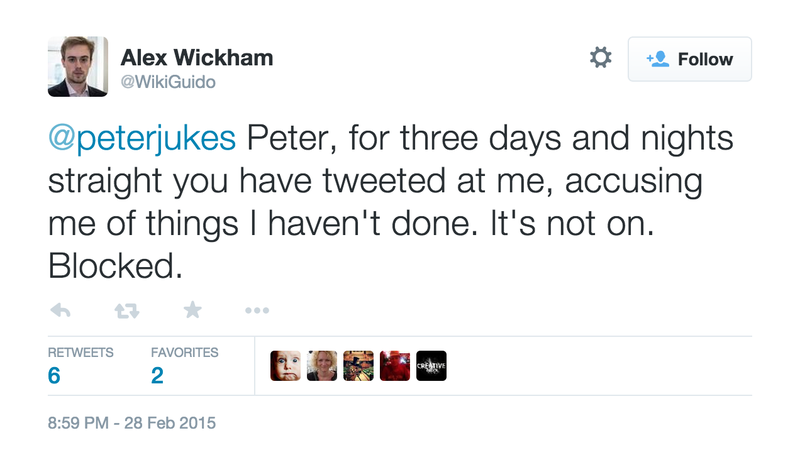 Blocked”, he lets slip another whopper: Jukes had not “tweeted at him” for that length of time. And, as the late John Smith might have said, for him to accuse others of lying is a bit rich. What we have here is a physician who has it within him powers to heal himself.